Just imagine an island with hundreds of small lush green patchwork fields separated by high hand built dry stone walls as far as the eye can see… the very moment I stepped off the ferry I just knew that “Inisheer” was going to be a magical island. 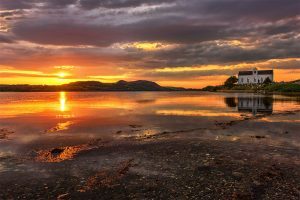 I’ve been all over Ireland’s Wild Atlantic Way Way but this island has to be the finest preserved places that really lets you experience how our previous generations lived hundreds of years ago. 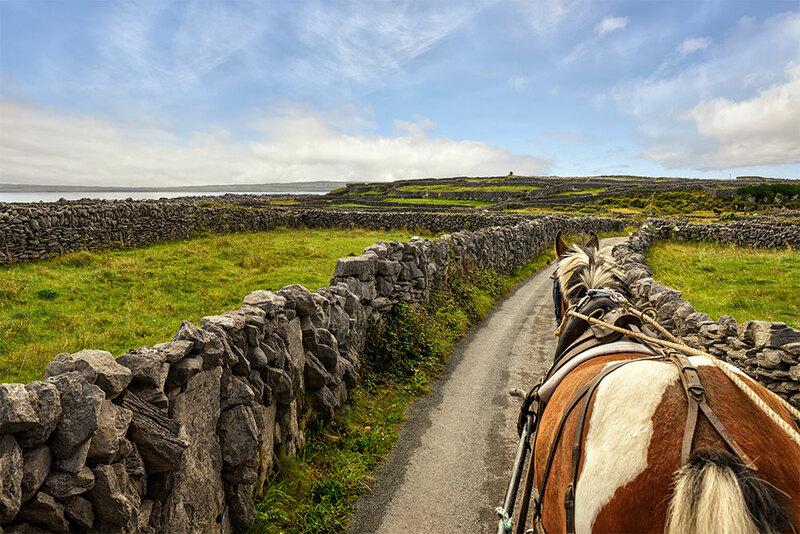 In my personal opinion pony & trap is the only way to travel around this amazing island with a summer breeze on your face, the smell of burning turf in the air near every stone cottage and the sound of the ponies hooves clip-clopping off the road. It’s these very senses & my unique cart ride that will keep Inisheer so magical & memorable to me….